eBay is fixated on getting domestic sellers to offer fast and free shipping to appeal to shoppers - with tracking so buyers (and eBay) can make sure their packages are on the way. But when it comes to Chinese sellers listing internationally, eBay has different standards, as evidenced by its SpeedPAK service. Buyers are complaining about eBay's new arrangement that offers sellers in China cheap postage to get their items to the US. 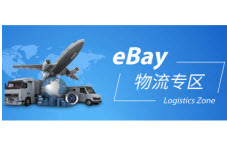 We wrote about the SpeedPAK service in March - eBay entered into a joint venture to help speed delivery of products from Greater China to eBay buyers in other parts of the world, including the US and Europe. But according to some eBay buyers, the service is anything but speedy. For example, on June 1st a buyer said he purchased a car stereo on May 24th on eBay from China and through tracking saw it arrive in California and then Chicago. "It has said to expect it between June 12 and July 17. I ordered it over a week ago now May 24th to be exact. It arrived in the U.S. on the 28th and in a normal scenario I would have it by now. But it sits in Chicago.... why? I do not know." That was typical of the users posting on the thread, many of whom noted that once the item arrived in the US, they were no longer able to track their packages, which made the long wait even more difficult. You can read more about SpeedPAK and other services eBay offers Chinese sellers in this March article. The solution is simple. STOP buying from Chinese sellers. Many of them sell inferior, bootlegged, and/or counterfeit goods. I don't care how much more something costs. I buy from American, Canadian, Australian, and European sellers only. I refuse to participate in ebafia's love affair with intellectual property thieves and cheaters in their confounding race to the bottom. Agreed. But I will not buy Chinese products sold by Chinese sellers. I don't KNOWINGLY buy from outside the US. And it's a LIE that Ebay has "Centralized Payments". True centralized payments don't require me to have a PayPal account. I should only have to hook up a bank account to "Ebay Payments". Ebay lies about itself EVERY DAY. Right now, Ebay is a fraud and a scam. Fast I can do....free I won't do, unless it is an item 6 oz. or less. And like Ming, I won't (knowingly) buy from a Chinese seller. And I would love to know why the Chinese are subsidized while US sellers pay through the nose, especially when US sellers ship internationally. Why can't the "esteemed" Pitney Bowes use their powers to negotiate similar great rates for US sellers? Oh wait, I know the answer--there is no money in it for them. All those fast and free shipments from China? The US Postal Service loses money on every package. They in turn have to charge us more. US postal customers are subsidizing Communist China. I swear, we're living in the Upside Down. @Whatever -- if you have a nearby Dollar Store, just walk to it and buy goods made in Canada, US and China for $1. The problem is Ebay can promise fast delivery to the US BUT that ends there. Ebay has no say so when the Post Office gets involved. You know they are the ultmate end of the line delivery. I wish everyone would quit thinking that Ebay is the post office. "The solution is simple. STOP buying from Chinese sellers." It's not like I expect to find American made products for most things, but let the US seller import it, finding the appropriate seller there and then put it up for sale here with a reasonable delivery time frame and allow the US seller to get a reasonable price for the item here. To Quote Ming the Merciless: 'The solution is simple. STOP buying from Chinese sellers'. I do not buy from anyone not in the USA, unless, it is an item i want that is not being sold by a USA seller. And, I check Ebay/Etsy/Amazon etc before buying from a non-USA seller. I have purchased two items in the last 3 years from China because no USA seller had the item. Each item took over 4 weeks for delivery with no verifiable tracking (it did say in the listing it would take 3 to 6 weeks). There is another layer that all overseas transactions must go past; US Immigration & Customs Enforcement [ICE]. Bottlenecks happen on a regular basis when the ICE facilities get backed up and packages are forced to sit and wait. If I was selling items that relate to overseas competition, I would likely post on my ebay listings that my shipments are not subject to holds & delays by US Customs. ebay has no control or influence on ICE, and ebay seems to be ignorant of the frequent ICE backlogs. I have only purchased Chinese items when there was no alternative, and in each case I was disappointed with the product, either as a result of poor build quality, poor design, or non-existent warranty promises. My girlfriend recently bought 12 items of clothing from WalMart. All were of Chinese manufacture. 11 out of the 12 were defective. One shirt was sized as "Small", but it hung like a tent on her body. A blouse had a sleeve 2" longer than the other sleeve. I bought a 60" flat screen TV, had to buy a Chinese made TV because they are not made anywhere else in the world. The remote will not function if it's further than 8 feet from the screen. Was told the range was normal! I have found most of the time buying from China is surprisingly quick, one item took a long time but most are here 2 weeks or better. I only but cheap household stuff when price beats Amazon. Nothing of any value. Plus - why can they mail so cheap? The main China made products I purchase are those of major brands that do strive to protect their brand by maintaining quality. I check all items for reviews -- and not just on eBay or Amazon -- before purchasing from a new seller or brand. If I need a piece of junk for a one time or expected little life expected, I go direct to the dollar store -- why wait weeks for delivery from a seller in China when you can get the junk immediately when you want or need. This line is frequently regurgitated all the way from Wenig to Griff to front-line support workers in Draper. Usually this line is repeated with great dramatic effect while glaring intensely at the interviewer with visible insult and contemptuousness at the mere thought that eBay would ever contemplate something so outrageous. Compete with our sellers? How insulting to even suggest such a thing! This propaganda is perpetuated to US consumers in general, but _especially_ so to sellers. eBay _absolutely_ competes with its sellers. What they fail to mention are the tens or hundreds of millions of dollars eBay injects into subsidizing Chinese manufacturing each year. Nearly every aspect and facet of China supplier manufacturing operations is financially subsidized eBay. These China manufacturers are eBay’s true “partners”. From providing university training on eBay ecommerce, recruiting, to propping up a massive industrial marketplace complex in Fujian designed to feed eBay’s cross-border global commerce initiatives, rapid product prototyping and development, as well as helping these manufactures obtain GTINs for their items, Wenig has his hands (and dollars) directly supporting these manufacturers “soup-to-nuts”. Naturally all this is kept very low-key when communicating with US press and market. When Wenig and team craft these soundbites each word is carefully chosen (Wenig and many other execs are attorneys leading this company after all). Clearly any average consumer or part-time seller hearing the “We would never compete with our sellers” spiel is going to leave with a very different interpretation of what that exactly means. As they say, ''the Devin is in the details''. anyone who eats "food" that is "cheap" and made in China should make sure they have life, health, and disability insurance as well. When the trade tariffs hit China, ebay will be completely out of business, and they know it, No china = No ebay, this sounds like they are trying to desperately develop some sort of strange, possibly illegal side channel, to keep the money flowing in case of a trade dispute with China. eBay LONG AGO felt they outgrew small US based sellers - hence the "noise" comments from the CEO, as well as the outright statement stating that "small sellers are unreliable sources of income". You can tell by the smug look on DWs face, the lies and gestures by Bobby Cupcake, and the dissapearance of the Grifter (LMAO hes the SELLER ADVOCATE) that they mean what they say - smaller sellers and the monies they generate are NOT enough to keep eBay brass in the life style to which they wish to live. DW jets around the world (id love to see the airplane logs! ), and the rest are living high on the hog - for basically doing nothing. eBay does ACTIVELY chase away smaller sellers, they just make rules that work for BIGGER sellers, and when they are told "this new rule will choke/kill smaller sellers" - the responce from eBay is "so what, they dont provide us with substantial income anyway, so the hell with them". They know 30 day return make no sense, they know sponsored listings are a sham (pay for something you should have gotten for free to begin with!) - but since they work for he big guys - its all good . ChinaPak is just another eBay scheme to make sure theres money comming in ... they dont care who it hurts... as long as it helps them! A trade war helps no one. I has great potential to affect us all. The only one profiting from the upcoming trade war is the individual who started it who will somehow manage to convince his 'base' workers negatively affected by it that it's good for them "in the long run." It will make so many common items directly or indirectly more expensive for the American consumer especially the beer consumed in Wisconsin, Ohio, and Pennsylvania among others. Unless someone buys a really big ticket item from a Chinese ebay seller that's on the tariff list, however, these tariffs would seem unlikely to affect ebay prices. If government was really interested in leveling the playing field even a yard or two, they could start with these obscene shipping deals given to China and apply the applicable federal consumer protection, anti competition, and organized crime laws to corporations that abuse and victimize their customers because they can. Correct me if I wrong, but I think The Ho is still looking for a new gig and the Chairman of the PayPal BoD doesn't count because he engineered that as part of deal when ebay split with PayPal. Wenig will likely suffer the same fate and be forced to live off his golden parachute with the millions of dollars he helped steal from ebay sellers. Ebay pages are showing up in Duplicate and Triplicate. All stuff on page one shows up as an exact copy on page 3 and maybe even on page 6. Gives the illusion of a goodly amount of things.